I’ve been up to quite a lot lately, things have been a little hectic and I just don’t know where the time has gone, which is why it’s been nearly two weeks since I’ve been by. I have several knitting projects on the needles, mostly gift knitting, but also something for myself which I could not resist. I will post about all that later. 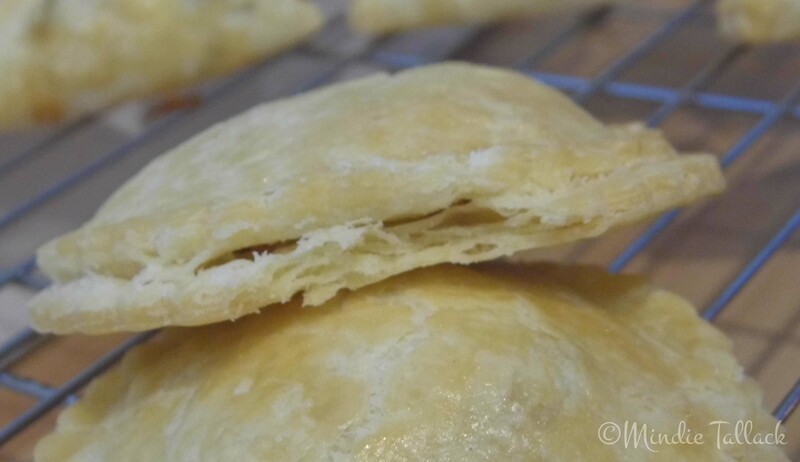 However, I did promise a recipe for gluten and dairy free flaky pastry which I think probably deserves a post of its own, and I know that I have been a bit lacking since I showed pictures for it last time, so this post is about cooking not knitting. Feel free to skip it if allergy friendly cooking is not your thing. I searched everywhere for a recipe for a gluten and dairy free pastry that behaved and tasted like its gluten equivalent. 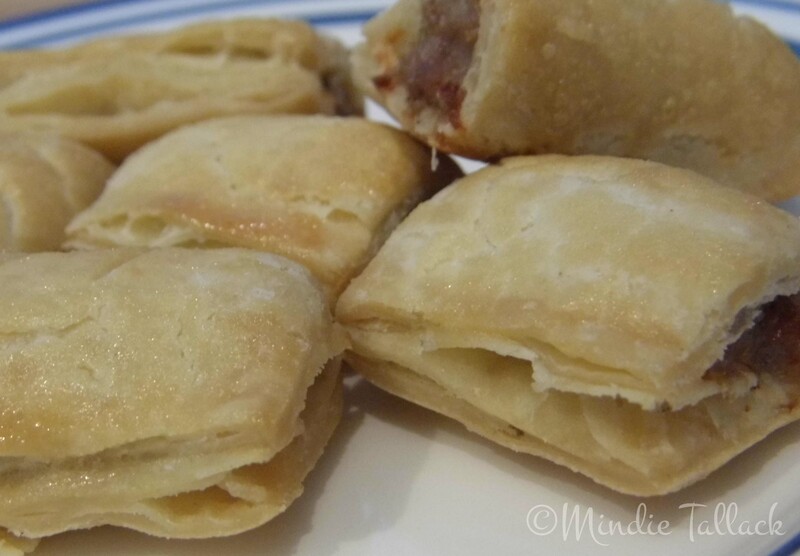 For over ten years I have been making gluten and dairy free pastry, with varying results. I would get either a pastry dough that behaved well but cooked like concrete around the edges, or one that was a nightmare to roll but was passable once cooked. For my son, I quite often resorted to pastry mixes such as Mrs Crimble’s that we get here. It is quite good as they go and the results were consistently edible, but at a glance you could tell which pastry was the gluten free version and which the ‘normal’ and to be honest I was always glad that I didn’t have to eat it. Once I did have to eat it however the hunt became far more serious. It’s not that I didn’t care what my boy was eating, don’t get me wrong, but the fact that he could not remember what wheat pastry tasted like made him much more accepting of the poor equivalents I dished up for him. Me, however, I more than remember how a pastry should be. 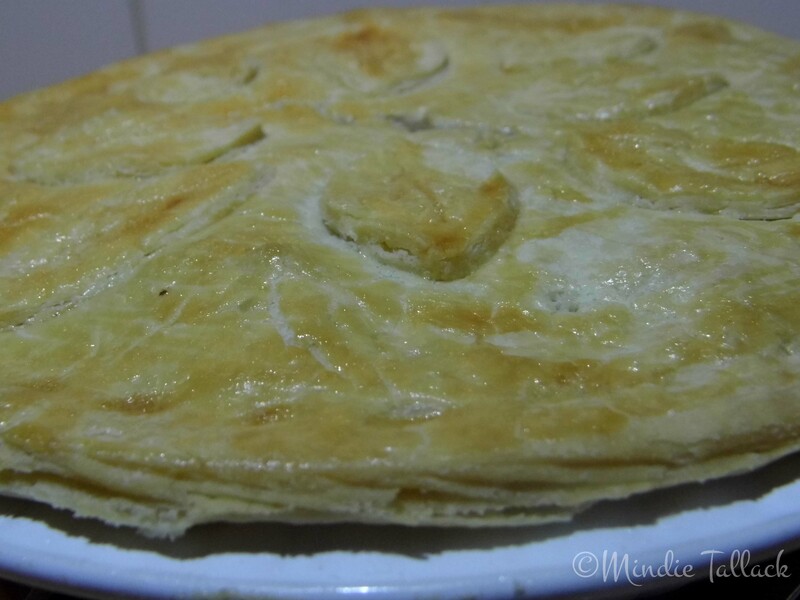 I craved a good pastry, and I actually stopped cooking things that required a crust for months because I just could not stomach something that was too different. It’s like seeing a strawberry, even smelling that strawberry then taking a great big bite only to find out that it’s a gooseberry, and it’s hard. What compounded the problem was the pastry I make also needs to be dairy free. I’ve seen some mouthwatering pastries on the net., all gluten free, but with butter. The butter give them the flaky, buttery goodness which turns the non wheat pastry into something good. Without butter you have little option but to use a lesser (in my opinion) substitute such as a dairy free margarine. All this means that you are not only trying to replicate a wheat dough with a non wheat dough but also the properties of butter with an oily equivalent. Not an easy thing to do, which is why we end up with such a poor substitute. I have two fats in my recipe, a dairy free margarine and lard. Firstly -LARD!. Now I know that a lot of people don’t like to use lard, but really it’s not the bad boy it’s made out to be. Do some homework and you will see that it is just the boy that was left in the yard when the window broke and all the other kids ran away. I would rather use lard, and do, in my cooking any day than the plastic equivalent that they promote today. That said, if you really can’t get it or won’t use it you could try substituting with coconut oil. It is solid at room temperature and a natural, stable fat. I haven’t tried it so I can’t say for sure if it will give you the same results. I do keep it in my kitchen and use it a lot but I find it expensive and prefer to use lard when I’m making things that require any quantity of fat. I may give it a go sometime and let you know. Feel free to experiment. Secondly – dairy free margarine. Not all margarines were created equal. Make sure you use a non hydrogenated brand such as Pure. I use the sunflower one. Check out the makers website. If you find it near impossible to find the ingredient list as I have with some, (naming no names) then there is a reason for that and keep well away. Also quite a lot of them have things in that you either can’t pronounce or are just numbers. Be wary. The only other things you will need is some rice flour, ordinary is fine, a mixture of white and brown seems to work well, some potato starch (the starch not the flour), eggs and a little salt and xanthan gum. That’s it. I think with this pastry it’s the way that you make it that makes the difference so I’ve put together a little picture tutorial for you. This quantity should give you enough for a double crusted pie. If you flick through the instructions, it all seems very time consuming and involved. Believe me, it is far quicker and easier than it looks. 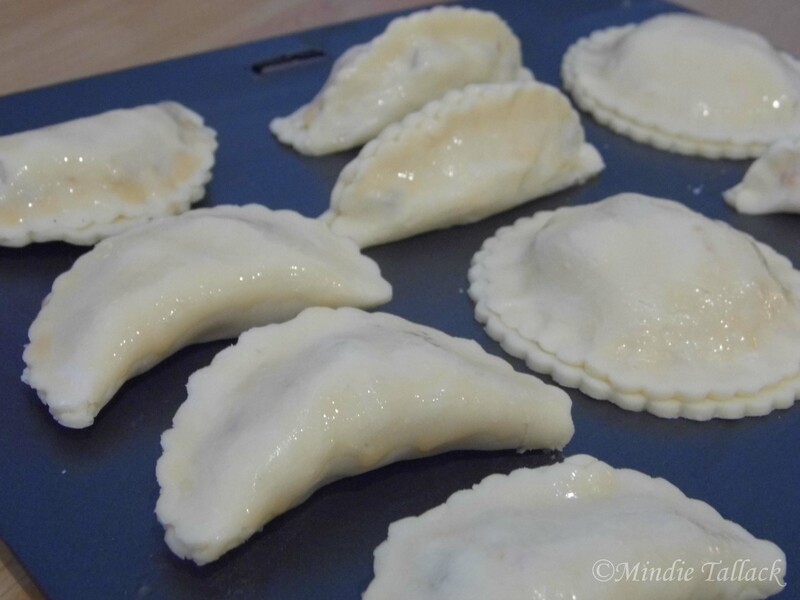 I can whip up some in half an hour or so, on and off, while doing other things and once made, it will keep until the next day (probably slightly longer) in the fridge. Add the eggs, a little at a time, stirring the flour and fat mixture until it comes together. You may need to add a tablespoon or two of water just to finish off. The mixture will look crumbly but will basically stick together apart from perhaps some more resistant bits in the bottom of the bowl. Finish off by bringing it all together with your hands gently. 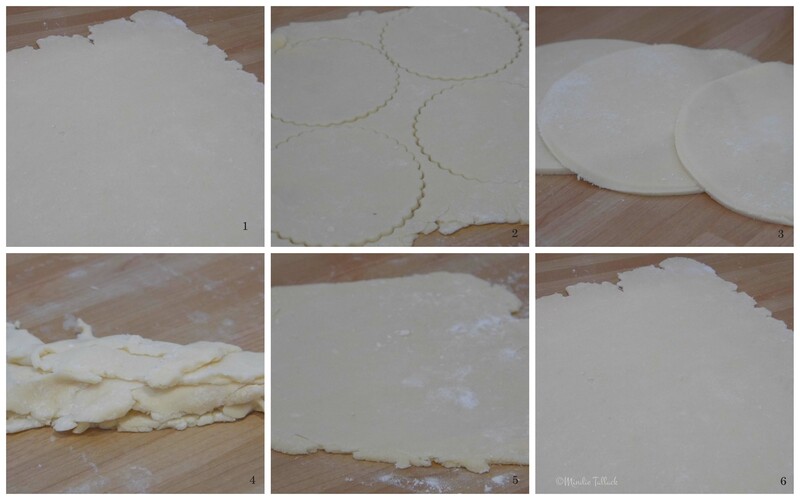 Then on a well floured surface and floured rolling pin, gently roll out into a rough rectangle. The pastry will be quite crumbly but don’t worry it gets much better as you go along. Pat with your hands to smooth it all down and shape a little. Picture 3. Turn 90 degrees, either left or right, and again flour everything and roll out again into a rectangle. 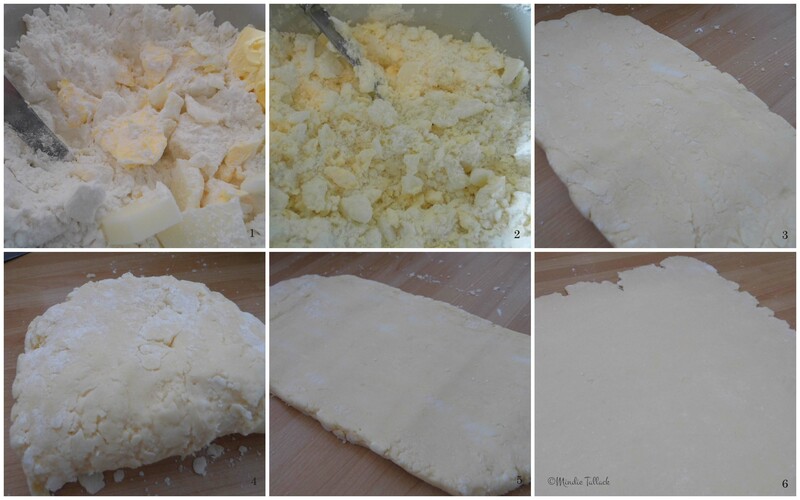 Roll gently and make sure you have plenty of rice flour on the surface or the lumps of fat will stick. You will notice that this time the pastry stays together a little better. Bring into shape by patting it together and fold as you did before. At this stage I like to put mine into a plastic bag and pop into the fridge for 10 – 15 minutes or so just to chill down. I go off and do something else but leave the floured surface and rolling pin alone as you will need them again. Repeat the chilling and rolling once more. It is at this point that I usually make the filling and get it ready while I am waiting. Now your pastry is ready. It should be smooth, elastic and very well behaved but be gentle when you roll it out. Just remember to be a little gentle with it and flour your surface well. In pictures 1,2 & 3 above you can see how smooth and pliable it is. If you want to use up the scraps and roll out again, pile them up as in picture 4. This will preserve the layers, and as you can see by 5 & 6, even rolled out a second and third time it still doesn’t crack. 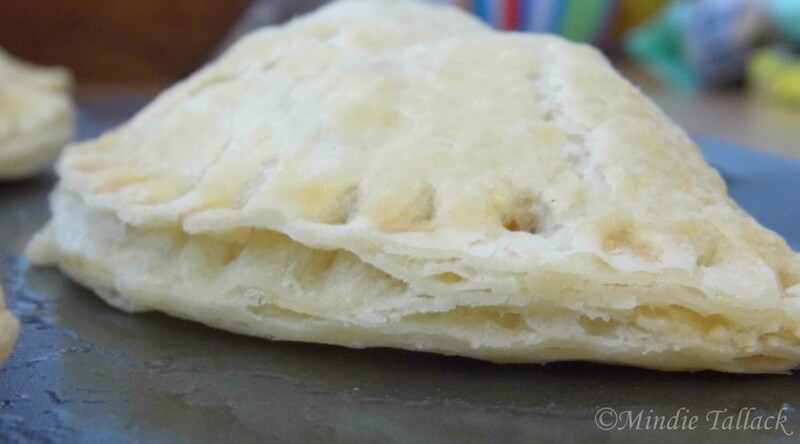 I made mini pasties with this just to show that it does bend without cracking in the slightest. Once you have made your pie or whatever you are using it for, glaze with some beaten egg or milk and a dusting of sugar and bake in the oven at 200 deg C (approx. 400 deg. F or Gas mark 6) until slightly risen and golden brown. You can see the layers in the pastry. I didn’t call this rough puff even though that is how it is made because it just doesn’t have quite the lift but is definitely flaky. I’ve had hours of fun in the kitchen with this, now that after a long absence, pastry is back on our menu. Also with this pastry, it tastes and feels so much like it’s gluten equivalent that I no longer have to make two pies, one regular wheat and one gluten and dairy free. I make one for everyone. It saves so much time in the kitchen. Just don’t tell my youngest as I haven’t told him that he is eating free from pastry!